Take your Scrum Master game to next level with these insightful books. Start with reading one book today. Scrum Guide is the first book Scrum Masters (well, it’s a mini ebook) should thoroughly understand and master practicing it. 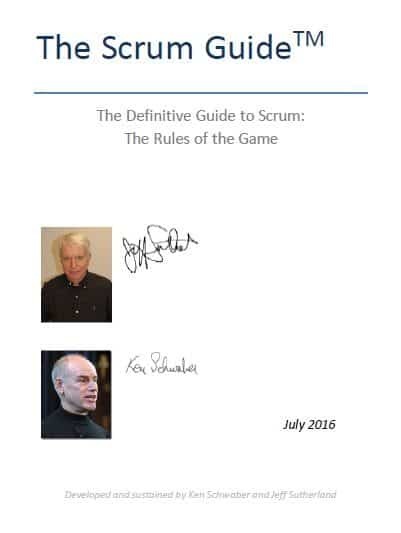 Written by Ken Schwaber and Jeff Sutherland – the co-creators of the Scrum Framework. Scrum Guide defines Scrum, it’s rules and values that help Scrum Teams be effective, flexible, and creative. Scrum is a framework for developing and sustaining complex products. It consists of Scrum roles, Scrum events, Scrum artifacts, and the rules that bind them together. This Scrum Guide is the latest 2016 version that includes the Scrum Values and emphasizes practicing of these values to develop as professionals. While the Scrum Guide packs a lot of information and insights to implement Scrum, it purposefully omits to prescribe processes and specifics so the teams implementing Scrum can inspect and adapt to what works well for their situation. 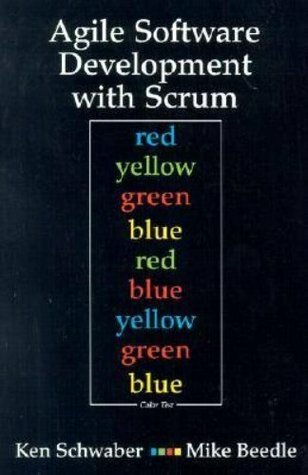 Every new Scrum Master would immensely benefit from this book. 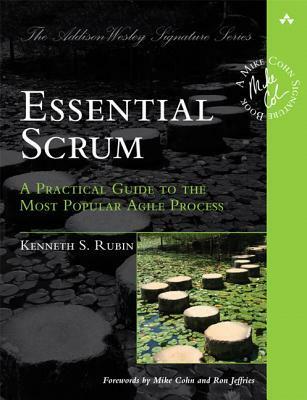 Kenny Rubin emphasizes the values, principles, and practices of Scrum and describes flexible, proven approaches that can help you implement it far more effectively. 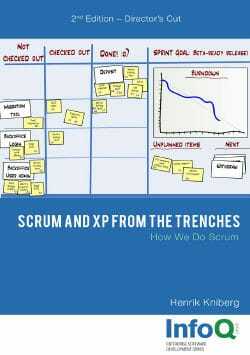 This book introduces and deepens Scrum knowledge at the team, product, and portfolio levels. 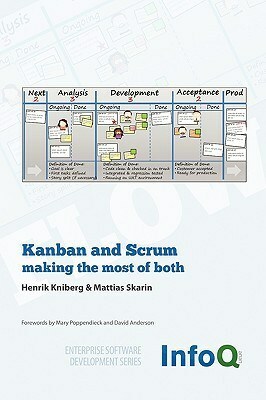 The book contains hundred+ illustrations for describing Scrum’s roles, artifacts, and activities. The book may help in establishing shared vocabulary for any team. It offers practical tips for getting maximum value from Scrum. 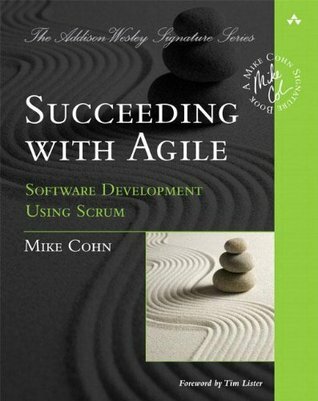 In this book Mike Cohn, covers every facet of the Agile product development: getting started, helping individuals transition to new roles, structuring teams, scaling up, working with distributed teams, and implementing effective metrics and continuous improvement. There is useful advice in the Things to Try Now section and helpful conversations with those resisting change with actionable tips for addressing their concerns in the Objection section. This Scrum book is one of the earlier ones. Written by Ken Schwaber, describes building systems using Scrum. It offers a new approach to systems development that cuts through the complexity and ambiguity of complexity, emergent requirements and unstable technology to iteratively and quickly produce quality software. This book helps Scrum Masters to develop an understanding of the early thoughts that shaped Scrum. Henrik Kniberg gives a detailed account of how one Swedish company implemented Scrum and XP with a team of approximately 40 people and how they continuously improved their process over a year’s time. This group experimented with different team sizes, different sprint lengths, ways of defining “done”, formats for product backlogs and sprint backlogs, testing strategies, ways of doing demos, different ways of synchronizing multiple Scrum teams, etc. 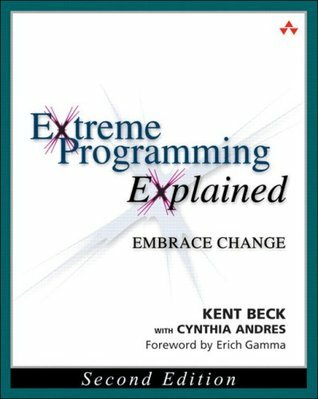 They also experimented with XP practices – different ways of doing continuous build, pair programming, test driven development, etc, and how to combine this with Scrum. This second edition is an annotated version, where the author reflects upon the content and shares new insights gained since the first version. This Scrum book is a short and easy to read and particularly useful for new Scrum Masters. Esther Derby and Diana Larsen show how to mine the experience of your software development team continually throughout product development. The tools in this book help uncover and solve hidden and not-so-hidden problems with your technology, your methodology, and those difficult “people” issues on your team. Must better alternative to Project retrospectives sprint based agile retrospectives are iterative and incremental. They are conducted regularly at the end of every sprint and help you to accurately find and fix problems to help the team today. The authors show you the tools, tricks, and tips you need to fix the problems you face on a software development project on an on-going basis. You’ll see how to architect retrospectives in general, how to design them specifically for your team and organization, how to run them effectively, how to make the needed changes, and how to scale these techniques up. You’ll learn how to deal with problems, and implement solutions effectively throughout development – not just at the end. These five steps can be used to design an hour-long retrospective or even a half day retrospective meeting. 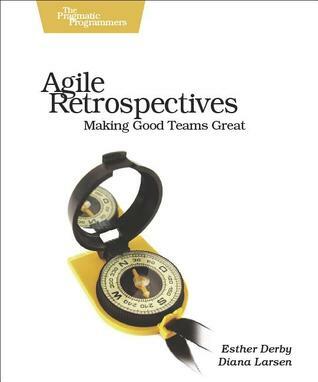 Being able to facilitate effective sprint retrospective meetings is an important part of the Scrum Master’s role making this an essential book for every Scrum Master and agile Coach to read. For those who believe that there must be a more agile and efficient way for people to get things done, this book is a thought-provoking book about the Scrum – An empirical framework for addressing complex challenges, that is changing the way we work and live. 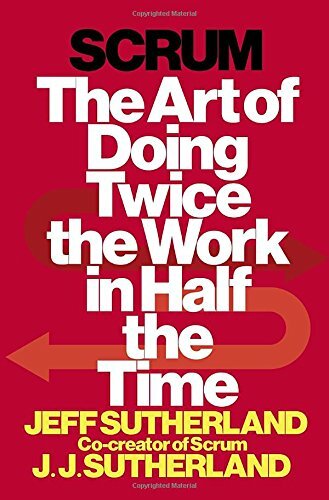 This is the book from the co-creator of Scrum Framework – Jeff Sutherland. Scrum already drives most of the world’s top technology companies. And now it’s starting to spread to every domain where leaders wrestle with complex projects including Hardware, Energy, Education, Finance, Law and even Churches. Scrum beautifully addresses the challenges of rapidly changing business landscape and enables rapid adaptability, controls, and limits risk, boosts employee engagement and improves creativity and innovation. Jeff Sutherland makes it easy to understand Scrum for anyone. It’s a lucid and compelling explanation of Scrum and its bright promise. The thorny problem Jeff began tackling 20 years ago boils down to this: people are spectacularly bad at doing things with agility and efficiency. Best laid plans go up in smoke. Teams often work aimlessly bound in silos. And when the pressure of delivery rises, unhappiness soars. Jeff began challenging those dysfunctional realities, looking for solutions that would have global impact. 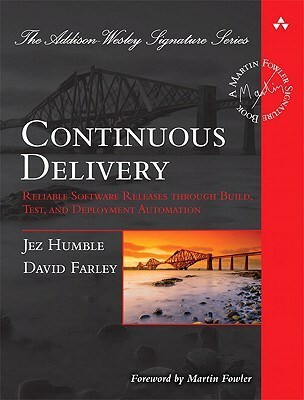 Jez Humble and David Farley describe principles and technical practices that enable rapid, incremental delivery of high quality, valuable new functionality to users. Through automation of the build, deployment, and testing process, and improved collaboration between developers, testers, and operations, delivery teams can get changes released in a matter of hours—sometimes even minutes–no matter what the size of a project or the complexity of its code base. The authors present the foundations of a rapid, reliable, low-risk delivery process. Next, they introduce the “deployment pipeline,” an automated process for managing all changes, from check-in to release. Finally, they discuss the “ecosystem” needed to support continuous delivery, from infrastructure, data and configuration management to governance. The authors introduce state-of-the-art techniques, including automated infrastructure management and data migration, and the use of virtualization. For each, they review key issues, identify best practices, and demonstrate how to mitigate risks. Jeff Patton and Peter Economy answer the question “How do you build a product that delights users?” – You must first know who your users are and how they plan to use what you’re building. 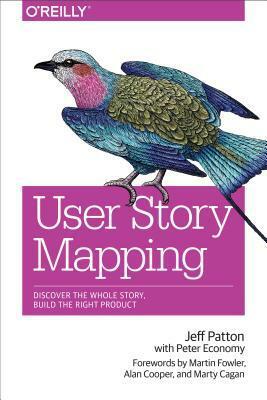 This book explains user story mapping, and learn how it can help keep your team stay focused on users and their experience throughout the development process. You and your team will learn that user stories aren’t a way to write better specifications, but a way to organize and have better conversations. This book will help you understand what kinds of conversations you should be having, when to have them, and what to keep track of when you do.Learn the key concepts used to create a great story map. Understand how user stories really work, and how to make good use of them in agile and lean projects. Examine the nuts and bolts of managing stories through the development cycle. Use strategies that help you continue to learn before and after the product’s release to customers and users. This book is for agile and lean software development team members, product managers and UX practitioners in commercial product companies, and business analysts and project managers in IT organizations. 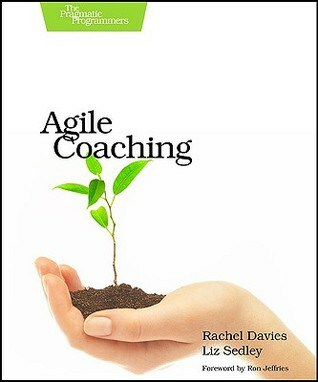 Rachel Davies and Liz Sedley helps discover how to coach your team to become Agile.This book gives you coaching tools that you can apply whether you are a Scrum Master or a member of the development team. 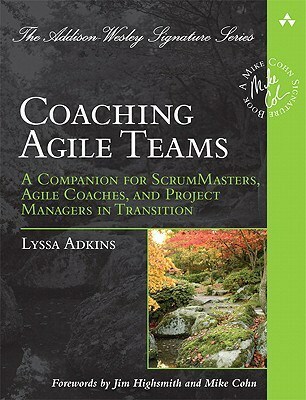 This book gives you the tools you need to make the transition from agile practitioner to agile coach. This book focuses on the skill of working with people to build great agile teams – that produces great products and has fun doing it. In the process, you’ll grow a team that’s self-sufficient and skillful. Authors provide you with deep knowledge of how agile practices work and how to inspire your team to improve throughout the agile lifecycle, from planning to execution and delivery. What makes agile meetings effective and how to get your team following a consistent approach such as Test-Driven Development, designing Retrospectives, and making progress visible. Find insights from the authors about what works and what to avoid when introducing agile practices to your team. Throughout the book the authors share their personal coaching stories from experience with real teams. Each chapter also covers hurdles that you and your team may face and what to do to clear them. Lyssa Adkins described how as an agile coach, you can help project teams become outstanding at agile, creating products that make them proud and helping organizations reap the powerful benefits of teams that deliver both innovation and excellence. In the current landscape, ScrumMasters and project managers are being asked to coach agile teams. But it’s a challenging role. It requires new skills—as well as a subtle understanding of when to step in and when to step back. Migrating from “command and control” to agile coaching requires a whole new mind-set. The author gives agile coaches the insights they need to adopt this new mind-set and to guide teams to extraordinary performance in a re-energized work environment. You’ll gain a deep view into the role of the agile coach, discover what works and what doesn’t, and learn how to adapt powerful skills from many allied disciplines, including the fields of professional coaching and mentoring. 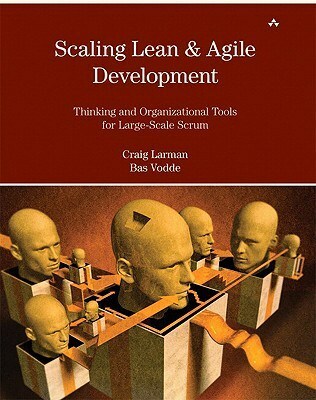 Craig Larman and Bas Vodde explain how large product-development organizations are turning to lean thinking, agile principles and practices and large-scale Scrum to sustainably and quickly deliver value and innovation. However, many groups have floundered in their practice-oriented adoptions. Without a deeper understanding of the thinking tools and profound organizational redesign needed, it is as though casting seeds on to an infertile field. Now, drawing on their long experience leading and guiding large-scale lean and agile adoptions for large, multisite and offshore product development and drawing on the best research for great team-based agile organizations. The authors share the key thinking and organizational tools needed to plant the seeds of product development success in a fertile lean and agile enterprise. This is one of the book, I give to leaders and managers. 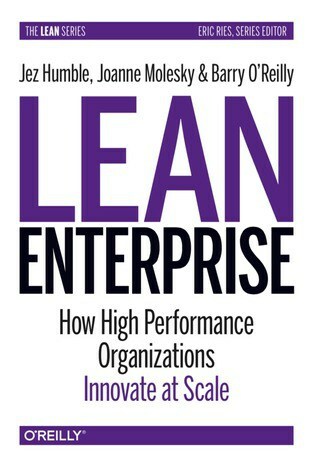 This book should be on the reading list of every agilist, agile champion, Agile coach, Agile Leader and Scrum Master. 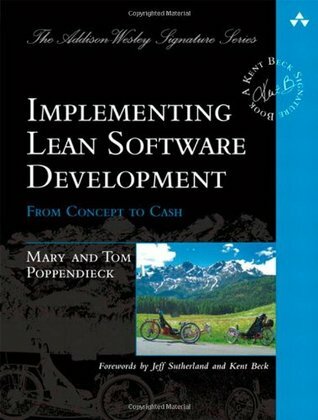 Mary and Tom Poppendieck introduce development techniques that leverage Lean principles to deliver unprecedented agility and value.You’ll discover the right questions to ask, the key issues to focus on, and techniques proven to work. The authors present case studies from leading-edge software organizations, and offer practical exercises for jumpstarting your own Lean initiatives. Implementing Lean Software Development is indispensable to anyone who wants more effective development processes–managers, project leaders, senior developers, and architects in enterprise IT and software companies alike. Kent Beck and Cynthia Andres describe how to improve your software development by integrating Accountability, Transparency, Responsibility into your daily development process. Richard Hackman argues that teams perform at their best when leaders create conditions that allow them to manage themselves effectively. Leading Teams is not about subscribing to a specific formula or leadership style. Rather, it is about applying a concise set of guiding principles to each unique group situation—and doing so in the leader’s own idiosyncratic way. 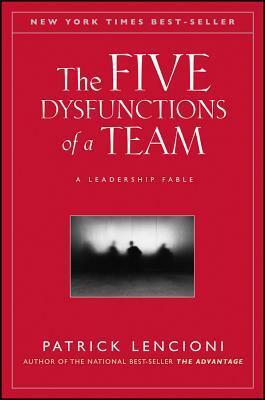 Based on extensive research and using compelling examples ranging from orchestras to airline cockpit crews, Leading Teams identifies five essential conditions—a stable team, a clear and engaging direction, an enabling team structure, a supportive organizational context, and the availability of competent coaching—that greatly enhance the likelihood of team success. The book offers a practical framework that leaders can use to muster personal skills and organizational resources to create and sustain the five key conditions and shows how those conditions can launch a team onto a trajectory of increasing effectiveness. 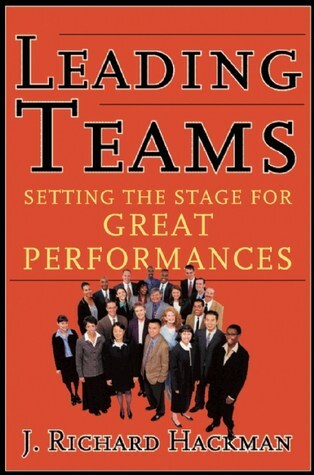 Leading Teams offers a new and provocative way of thinking about and leading work teams in any organizational setting. Henrik Kniberg explains Scrum and Kanban are two flavours of Agile software development – two simple but surprisingly powerful approaches to software development. 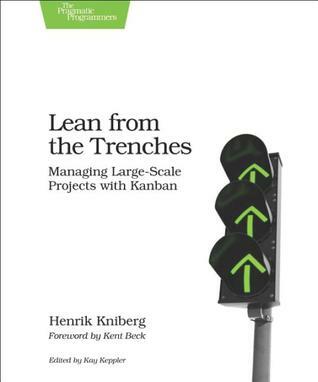 The purpose of this book is to clear up the fog, so you can figure out how Kanban and Scrum might be useful in your environment. Part I illustrates the similarities and differences between Kanban and Scrum, comparing for understanding, not for judgement. There is no such thing as a good or bad tool – just good or bad decisions about when and how to use which tool. This book includes: – Kanban and Scrum in a nutshell – Comparison of Kanban and Scrum and other Agile methods – Practical examples and pitfalls – Cartoons and diagrams illustrating day-to-day work – Detailed case study of a Kanban implementation within a Scrum organization Part II is a case study illustrating how a Scrum-based development organization implemented Kanban in their operations and support teams. 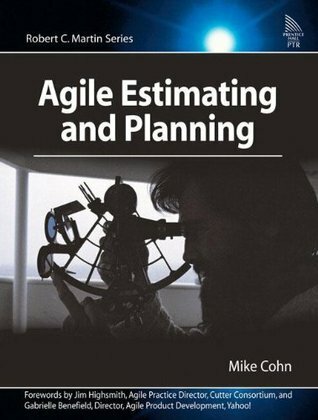 Mike Cohn discusses the philosophy of agile estimating and planning and shows you exactly how to get the job done, with real-world examples and case studies. Agile Estimating and Planning supports any agile or iterative process, including Scrum, XP. Donald G. Reinertsen explains how today’s product development orthodoxy is broken. What’s wrong? Companies are pursuing the wrong goals. They maximize capacity utilization, and wonder why cycle times are so long. They strive to conform to plan, and wonder why new obstacles constantly emerge. They try to eliminate variability, and wonder why innovation disappears. They carefully break processes into phases and gates, and wonder why things slow down instead of speeding up. Ironically, each of these actions actually hurts more than it helps. We need a different approach, one based on solid economics and real science. 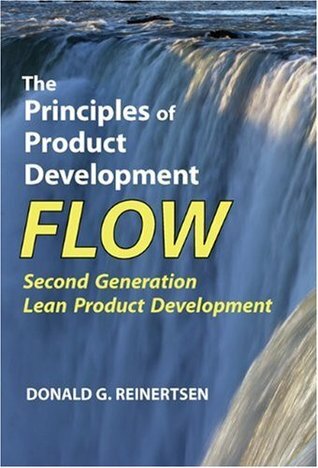 The heart of this approach is FLOW, and the enemy of flow is the invisible and unmeasured queues that undermine all aspects of product development performance. Stagnant piles of idle work lengthen cycle time. At the same time, they delay vital feedback and destroy process efficiency. Yet today, these queues remain unmanaged. Ninety-eight percent of product developers neither measure nor control their queues. But, how can we manage these queues and achieve real flow? It takes a bit of science. We can start with the ideas of lean manufacturing. Then, we must recognize the vast difference between the stable world of repetitive manufacturing and the high-variability world of product development. A product development process must thrive in the presence of variability. Ultimately, we must reach even further, drawing upon ideas from the Internet, transportation systems, computer operating systems, and military doctrine. Jez Humble presents Lean and Agile principles and patterns to help you move fast at scale—and demonstrates why and how to apply these methodologies throughout your organization, rather than with just one department or team. Patrick Lencioni reveals the five dysfunctions which go to the very heart of why teams even the best ones-often struggle. The author outlines a powerful model and actionable steps that can be used to overcome these common hurdles and build a cohesive, effective team. The author has written a compelling fable with a powerful yet simple message for all those who strive to be exceptional team leaders.